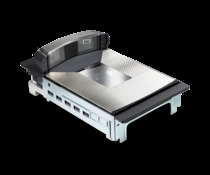 The Magellan™ 9800i imaging scanner has a low bonnet height and reads 1D, 2D and Digimarc® Barcodes. 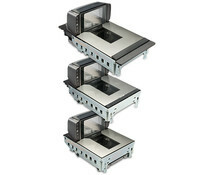 The Magellan™ 9400i imagers read 1D/2D bar codes and Digimarc® Barcodes in any orientation. 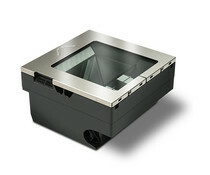 The Magellan™ 9300i imagers have traditional bonnet height with large horizontal and vertical windows. The Jade™ X7 portal scanner automatically scans items placed in any orientation onto a moving belt. 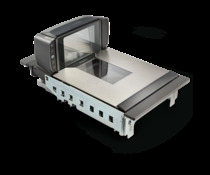 The Magellan™ 3550HSi scanner offers class leading performance on 1D and 2D codes, unmatched reliability and versatility, all in a compact size. 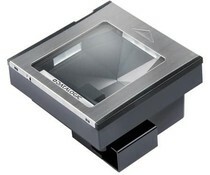 The Magellan ™ 3300HSi barcode reader features Datalogic 's new imaging technology. 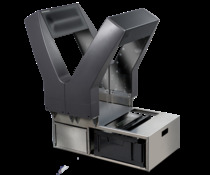 Together with the vertical 3200VSi reader, they are the first barcode scanners that scan with and speed and double the 3300HSI omnidirectional create. 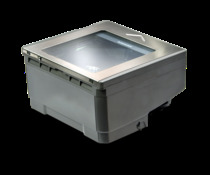 The Magellan™ 2300HS scanner is specifically designed for retailers that require high performance in a compact, horizontal form factor.